Hey y'all! It's Jivey again from Ideas By Jivey, bringing you some math ideas! 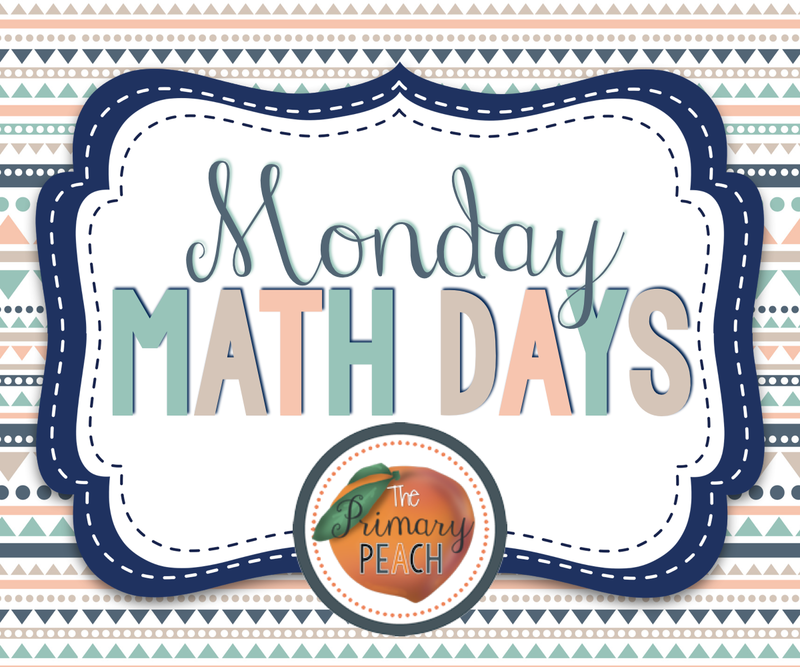 Every Monday on Primary Peach, one of our Peachy Authors will be bringing you some math ideas! 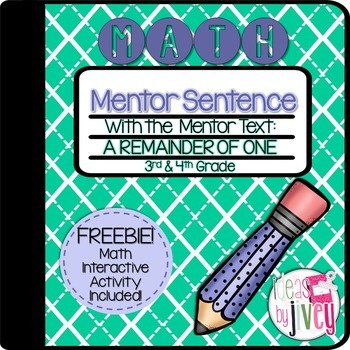 Do you use mentor texts? These are books that can be used to teach several skills or topics- in other words, one book: lots of lessons! Most people only think of using a mentor text to teach reading and writing, but no! Mentor texts are great to use for science and social studies topics, then use them for reading and writing skills, too... and of course, you can do the same with MATH! There are so many great math-themed books that you can use in other subjects as well. If you have been a follower of mine, you know that I am all about content integration- the more, the better! One way I use books from other subjects to make my students awesome authors is using mentor sentences. You can read all about them here for upper grades and here for lower grades if you don't know about them. The short version is: instead of showing students the wrong versions of sentences and hoping they might find what's wrong with it, mentor sentences show them spectacular sentences and they notice what makes them so spectacular! Students analyze, dissect, revise, and imitate the sentence over the course of the week, and this transfers over into their own writing. Where do these sentences come from? Mentor texts, of course! 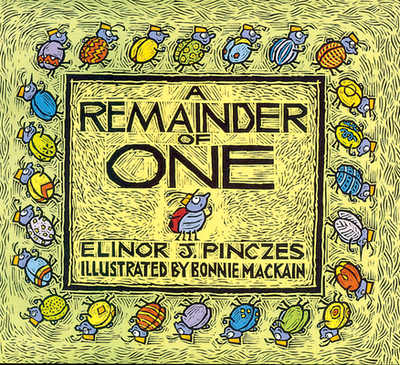 The book, A Remainder of One, is a great one to use for division and remainders in math! It's also written as a poem, and filled with adjectives and adverbs! Click to visit this book on Amazon! But THEN... during writing time, your students can analyze a fun sentence from the book! This is a great way to teach grammar and review the important techniques for writer's craft with a book you are already using in math! Grab the freebie to try it out, or grab the whole set that you can use any time during the school year! Oh, and I can't leave without sharing the winners from our HUGE launch giveaway! Congrats to you four ladies! You will be receiving an email to confirm your email address before the gift certificates arrive in your inbox! :o) They will come in handy for the sale happening Tuesday and Wednesday this week! If anyone still needs ideas of must-haves for their cart before the sale, check out our Sharing Sunday post! Workshop Wednesday- End of the Year Read Alouds! Sharing Sunday: We Appreciate YOU Sale!